The award-winning Olympic Sculpture Park opened to the public in 2007 and is dedicated to showing outdoor modern and contemporary sculpture including monumental works from the Seattle Art Museum collection, such as Richard Serra’s powerful 2004 piece, Wake, alongside works by Alexander Calder, Louise Bourgeois, Jaume Plensa and Mark Dion among others. 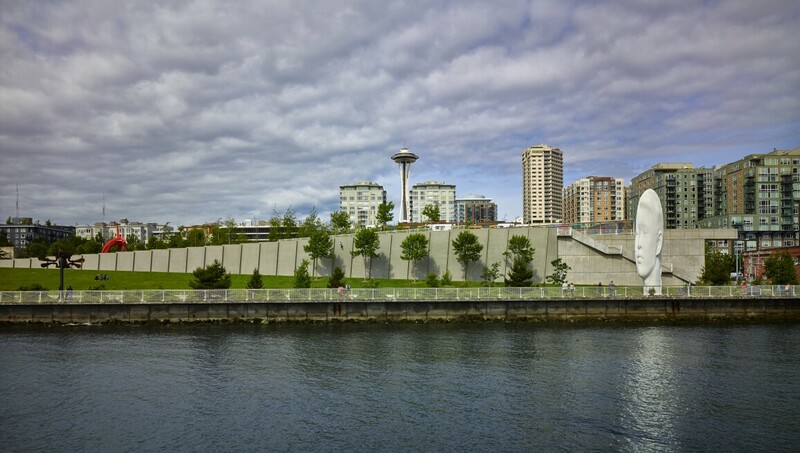 Site-specific commissions, loans and temporary installations are also on view at the nine-acre park, created on downtown Seattle’s last undeveloped waterfront site. It is open free of charge all year round, welcoming visitors to engage with art and enjoy a unique vantage point of the city and the ocean.